Harmony Consulting, LLC» What Did Deming Really Say? "Thank you for a very informative and entertaining workshop today. I learned so much and also have direction for what I still need to learn!" "Thank you for your enthusiasm yesterday. You truly made the use of statistical knowledge exciting and useful! I am looking forward to putting your principles to good use." "First I would like to say thank you for being a great speaker this past Thursday. You opened my eyes to run charts and I am excited to start my new projects with new perspectives!" The 1980 NBC television show, “If Japan Can, Why Can’t We?” introduced the teachings of W. Edwards Deming to U.S. viewers and caused a quantum leap in awareness of the potential for quality improvement in industry. During the late 1980s, the movement also caught fire in health care. Those of you familiar with Deming’s funnel rules (which shows that a process in control delivers the best results if left alone) will smile to realize that his rule No. 4—making, doing, or basing your next iteration based on the previous one—also known as a “random walk,” has been in operation for the last 30 years. “Originally Six Sigma was derived from Toyota Quality Management (TQM) by Motorola to achieve six sigma levels of quality, and then through Allied Signal and GE it morphed to projects by Black Belts based on statistics to become a cost-reduction program—every project needs a clear ROI. In other words, we denigrated the program from a leadership philosophy to a bunch of one-off projects to cut costs. It was a complete bastardization of the original, and it rarely led to lasting, sustainable change because the leadership and culture were missing. “A similar thing happened to lean when it got reduced to a toolkit (e.g., value-stream mapping, KPI boards, cells, kanban). Unfortunately, Deming’s philosophy seems to have morphed into a training mill turning out “belts” by the thousands with statistical training that makes my palms sweat. I’ve said it before: People don’t need statistics; they need to know how to solve their problems. All that’s needed is a few simple tools and a working knowledge of variation to be able to distinguish between common and special causes. 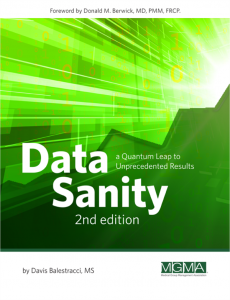 Only 1–2 percent of people need advanced statistical knowledge. Deming would roll over in his grave if he could see the statistical subculture of “hacks” (his term) that have been turned out in his name. I think the best book on design of experiments (DOE) is Quality Improvement Through Planned Experimentation, by Ronald Moen, Thomas Nolan, and Lloyd Provost (McGraw-Hill Professional, 1999). It is the only book I’ve seen that uses a process-oriented approach, which is so sorely needed in the real world. “Unfortunately, the statistical methods in textbooks and in the classroom do not tell the student that the problem in data use is prediction. What the student learns is how to calculate a variety of tests (t-test, F-test, chi-square, goodness of fit, etc.) in order to announce that the difference between the two methods or treatments is either significant or not significant. Unfortunately, such calculations are a mere formality. Significance or the lack of it provides no degree of belief—high, moderate, or low—about prediction of performance in the future, which is the only reason to carry out the comparison, test, or experiment in the first place. “… [I]nterchange of any two numbers in the calculation of the mean of a set of numbers, their variance or their fourth moment does not change the mean, variance, or fourth moment. “In contrast, interchange of two points in a plot of points may make a big difference in the message that the data are trying to convey for prediction. And, in addition to the process output being measured, determining the sample itself to be measured is its own separate process. The concepts of “randomness” and “sample size for significance” go out the window. There is a need to conduct multiple plan-do-study-act (PDSA) cycles over a wide range of conditions. There are limitations of commonly used statistical methods such as analysis of variance to address the important sources of uncertainty in analytic studies. Graphical methods of analysis are primary. Confirmation of the results of exploratory analysis comes primarily from prediction rather than from using formal statistical methods such as confidence intervals. Satisfactory prediction of the results of future studies conducted over a wide range of conditions is the means to increase the degree of belief that the results provide a basis for action. When planning to test a change, people are making a prediction that the change will be beneficial in the future. What people don’t realize is that a limited set of conditions will be present during the test; the conditions in the past, during the test, and in the future could all be different. Circumstances unforeseen or not present at the time of the test will arise in the future. Will the change still result in an improvement under these new, future conditions? Knowledge about the change is based on the specific subject matter on which the change itself is based, as well as knowledge about the environment in which the change will be implemented. Extrapolating the test results to the future is the primary source of uncertainty when a change is tested. The question then becomes, “How does one randomly sample the future?” Easy: One can’t. The connection between knowledge of the subject matter from which the change is developed and analysis of the data from a test of the change is essential to effective improvement. This cannot happen in a statistical vacuum. The fact that most leadership is clueless to the power of statistical thinking in everyday management certainly doesn’t help quality professionals’ efforts. That said, quality practitioners need to start by improving the process of teaching statistics, especially before they attempt to bring current seminars into the “C-suite.” Much of what is currently taught shouldn’t be applied to daily management—or probably most anything else (except maybe manufacturing product quality). The wrong things continue to be taught: p-values, confidence intervals, normal distribution, sample size, and regression, to name a few. I once gave a talk following an ASQ Fellow who tried to make a case for bringing a quincunx into the board room—and passing out three pages of statistical definitions. I could feel the tension in the room rising. I then began my talk by saying, “If I brought a quincunx into a board room, they’d throw me out on my ear,” and the room erupted in laughter. Creating this culture is far, far more important than teaching a bunch of statistical techniques.